International security interventions in Sahel are multiplying. 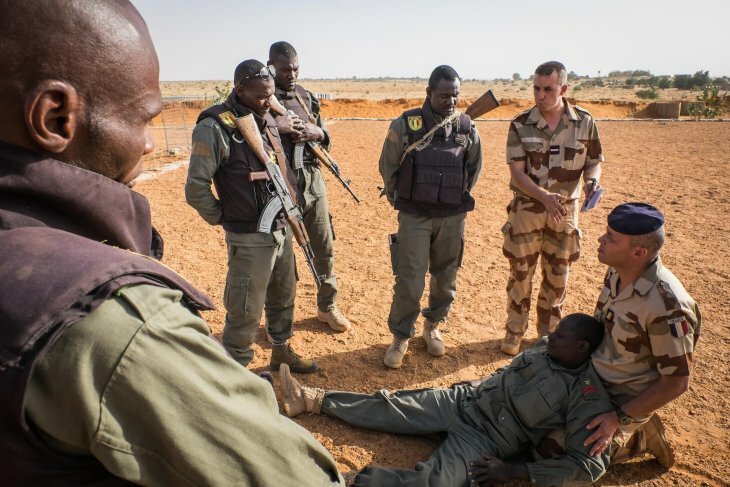 Military actions such as France’s Operation Barkhane, a Chapter 7 United Nations stabilization mission – MINUSMA, and increasing American military involvement in the region give these actions in the Sahel a ‘hard’, militarised image. Yet the number and scale of ‘soft’ operations operating in the name of counter-terrorism and border security should challenge this assumption. Law enforcement-driven training, and international advisory practices around defence and security, often retrain militarised practices and project an image of civilian, or even pastoral forms of power in the Sahel. Our article makes a distinction between two ends of a spectrum of violence: from symbolic to martial. In our article for the special issue of Security Dialogue, we argue that our use of descriptors such as ‘militarism’ and ‘militarisation’ should not depend only on which agencies claim to provide security, or what types of equipment they use. Instead, we should focus on the type of violence they draw upon or authorise. Our article makes a distinction between two ends of a spectrum of violence: from symbolic to martial. If we assume that security is always about the justification and legitimacy of enacting violence, its non-destructive elements are symbolic. Think, for example, of how Nigerien Armed Forces soldiers, trained by a European Union civilian capacity-building mission, are tasked with shepherding ‘repented’ former Boko Haram rebels to integration centers in Diffa near the Nigerian border, and reporting on the circumstances of their surrender. The practice of reporting rebels’ return demonstrates a symbolic logic that reorients both soldiers and former rebels to no longer see each other as enemies, but as individuals worthy of protection and the rights of citizenship. The other end of the spectrum refers to the types of coercion which are specifically martial, relying on organised destructive violence. This spectrum is not simply an academic exercise — it is a way of contesting the idea that something is militarised simply because a military institution is involved. Our article uses two case studies, both involving a complex array of civilian and military actors, to show the payoffs of this revised way of thinking. The first case focuses on how international actors attempt to counter the crime-terror nexus that is said to exist in the Sahel. Here, we see how operations with seemingly militarised appearances reinforce bureaucratic, technical and even developmental objectives that lie far from martial violence. 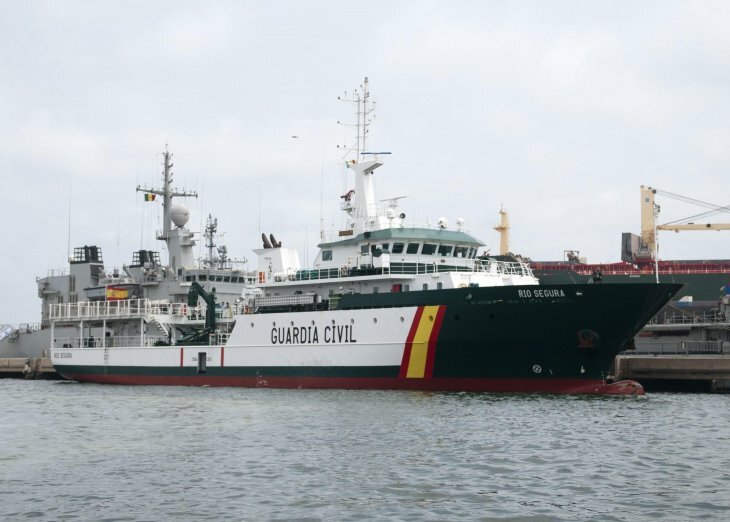 The second case focuses on efforts to combat irregular migration, in which some martial tendencies (like Italian ambitions to police the Niger-Libya border through military action) coexist with interventions composed of primarily civilian actors inculcating symbolic, rule-of-law focused modes of coercion. The Sahel is militarised in a range of ways, and applications of martial violence to solve intractable social problems are a key driver of ongoing security crises in the region. Yet the concept of (in)security gives us a finer grained understanding of how multi-actor responses to various crises — crime, migration, and so on — draw on different types of violence. Such an understanding helps us to pinpoint how various actors pursuing distinct forms of intervention in the Sahel pursue contradictory practices that range from the symbolic to the martial in order to tackle insecurity in this increasingly globalized security-centered space.